Welcome to the tenth week of our Healthy Meal Plans! Sometimes deciding what to feed your hungry crowd can be hard! It is so easy getting stuck in a recipe rut, but we are here to help! Healthy meal planning doesn’t have to be hard! We have done all the work for you! 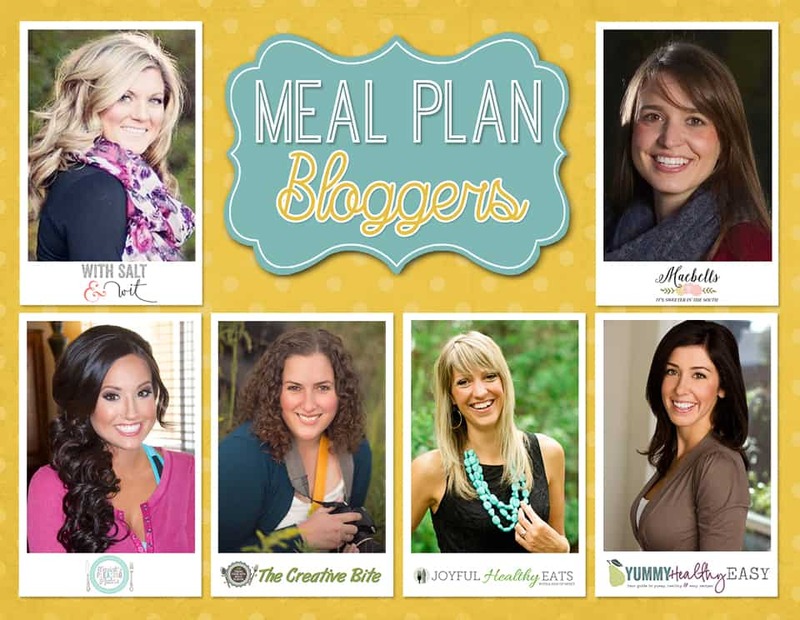 I have teamed up with five of my favorite bloggers to bring you a week’s worth of delicious and healthy meals! This week we have a wide range of delicious dinners including a fall inspired pasta dish, simple slow cooker recipes, a bit of Tex Mex flair, comfort food, and so much more! We also have some great ideas for breakfast, snacks, lunch and dessert! Stop back every Saturday morning to get your Healthy Meal Plan, full of daily entrees as well as a breakfast, lunch, snack and dessert! Just click on the photo or recipe name to see the recipe ! 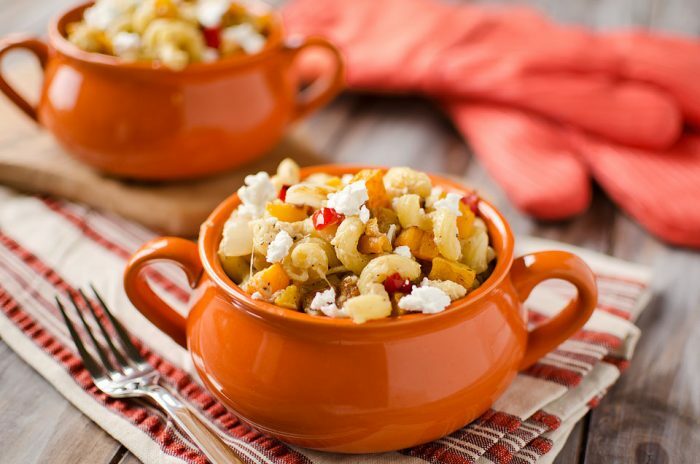 For an unbelievably filling meatless dish you’ve got to try this Roasted Squash and Goat Cheese Pasta. It is loaded with roasted squash, fresh sage, red peppers and Parmesan! This will be a new Fall favorite. 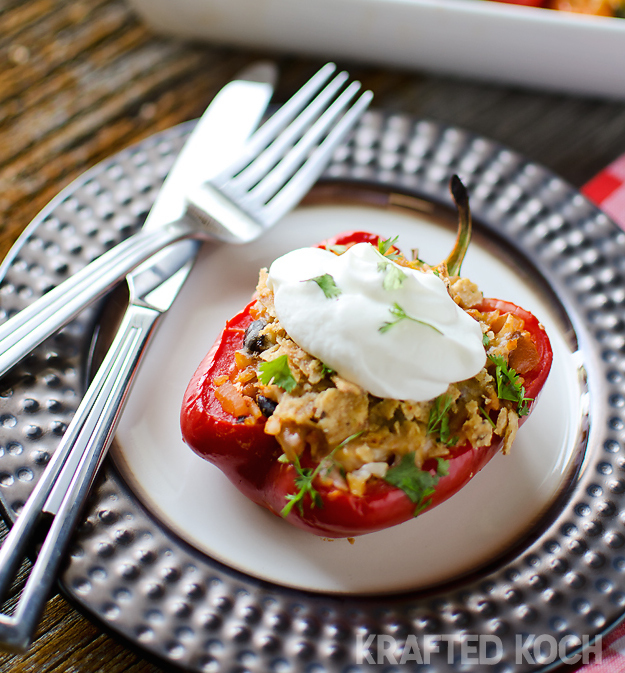 These Light Chipotle Chicken and Rice Stuffed Peppers are packed with Southwest flavor and come together vert easily! Serve these delicious stuffed peppers with a small side salad and you have an amazing well balanced meal! 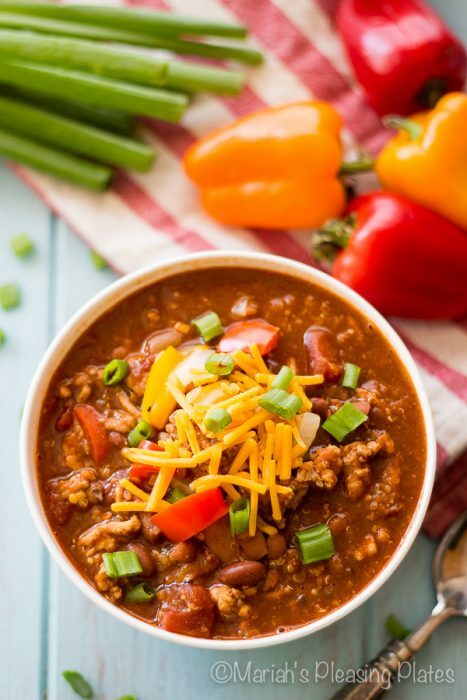 For those really busy nights this Slow Cooker Southwest Quiona Chili is a lifesaver! Simply toss your ingredients in a slow cooker and come home to a hearty healthy meal! We all know salmon is a delicious heart healthy food we should be eating often, but sometimes it can be so hard to come up with new ways to make it! 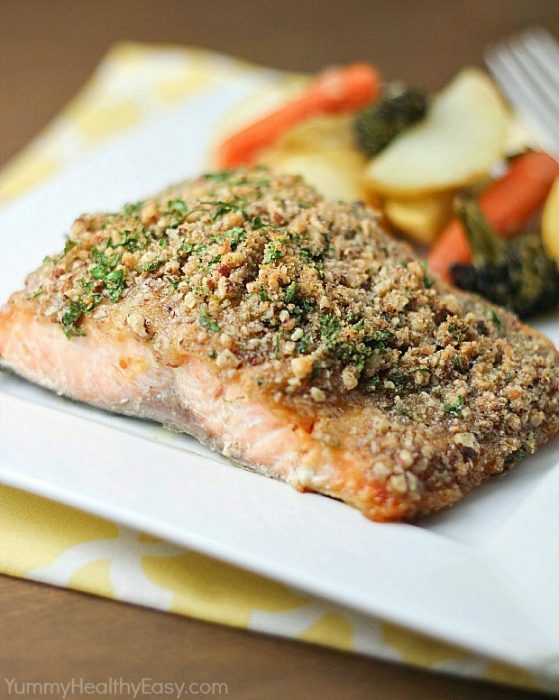 This Pecan Crusted Honey Mustard Salmon is a welcome change from your run of the meal salmon recipes! Even your pickiest eater will love this! This Honey Strawberry Panzanella Salad is a showstopper! 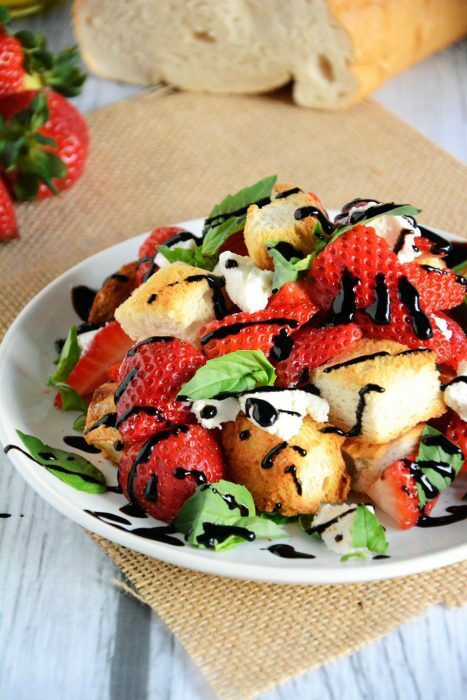 Strawberries, honey goat cheese, basil, and croutons are topped with a balsamic drizzle. 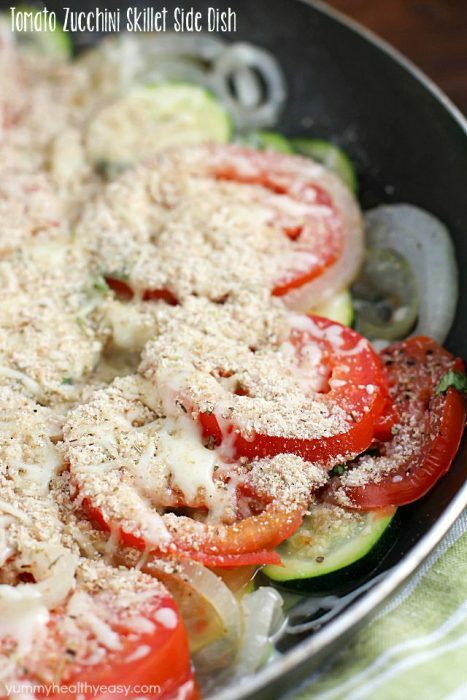 A fun twist on a classic that is easy enough for a weeknight! Tired of regular old tacos? 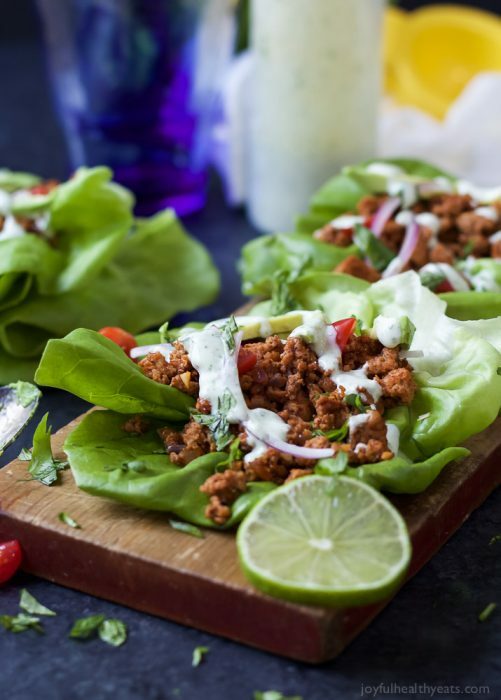 These Ground Turkey Taco Lettuce Wraps with Cilantro Lime Crema are very easy to make and much healthier than traditional tacos. 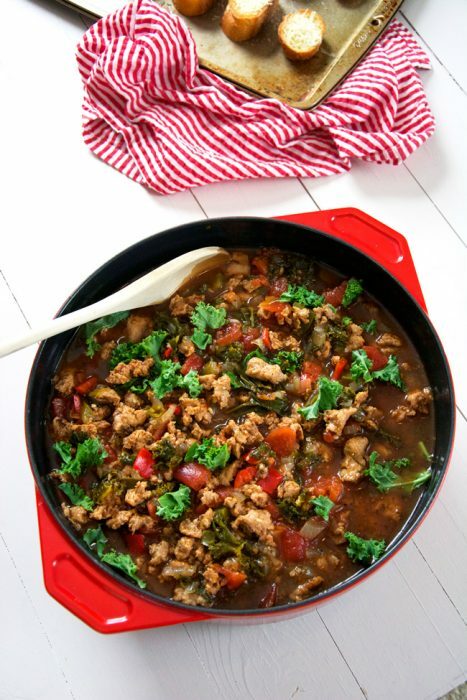 This Sweet Italian Sausage Soup with Kale is reminiscent of what you would see in a gourmet restaurant! It is wholesome, hearty and a perfect Fall meal! It may be Fall but we can still sip like it is Summer! 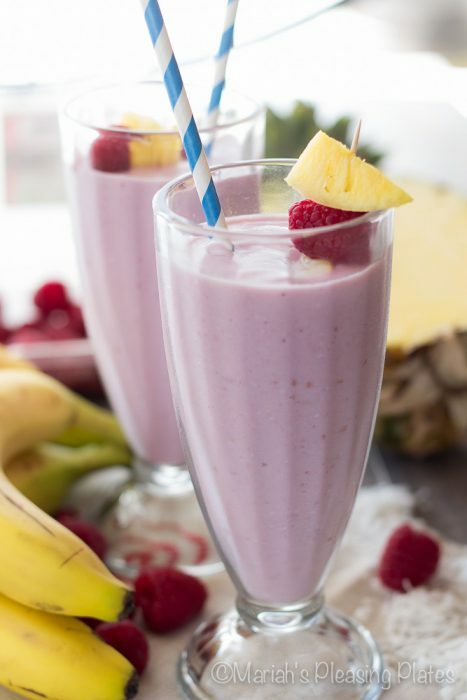 This Skinny Raspberry Pina Colada Smoothie is packed with fruit and everything else you need to start your morning strong! Snacks shouldn’t just satisfy your hunger, they should help keep you going! 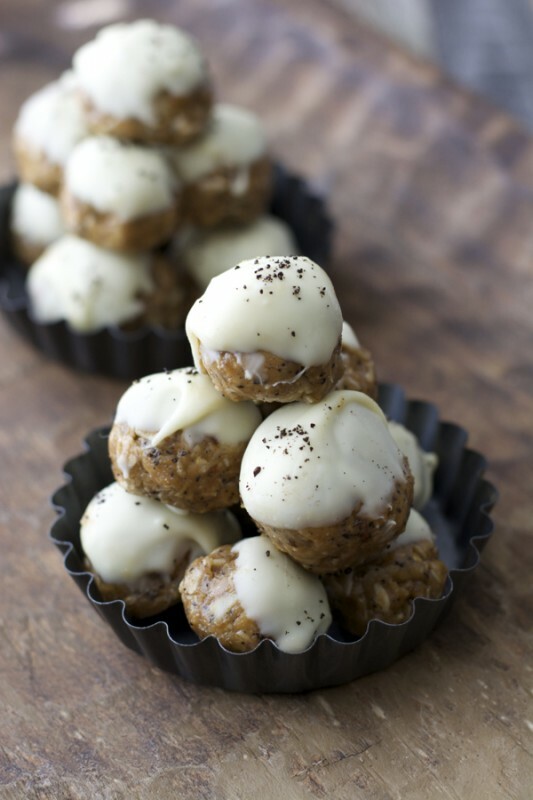 These Almond Butter Espresso Balls are loaded with almond butter, almonds, oats and espresso! The perfect pick me up! 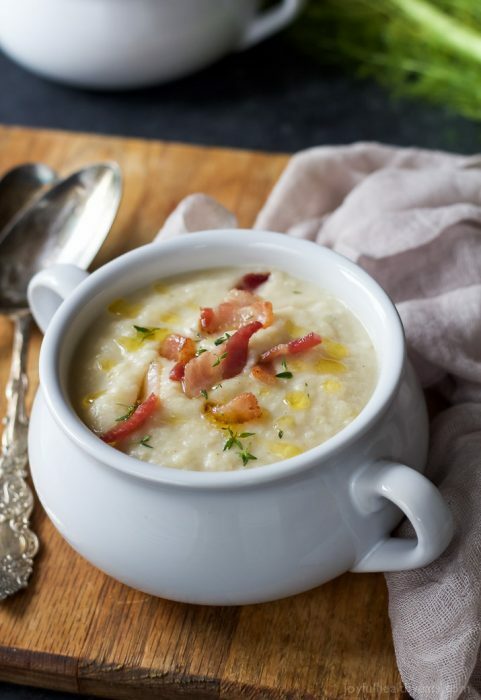 To end the week this Roasted Fennel Cauliflower Soup with Crispy Bacon just screams comfort food. This is a lighter alternative to potato soup but it is super creamy and packed flavor from the roasted fennel and bacon. Who said dessert has to be bad? These Slow Cooker Pumpkin Spiced Apples contain pantry staples and can be thrown together any evening! 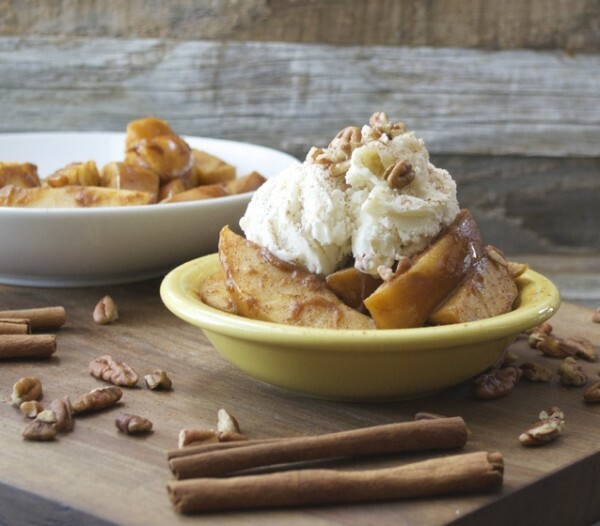 For a decadent treat top with a scoop of vanilla ice cream. I'm all about meal planning - post mine every Monday to keep me on track and inspire others. Love seeing others meal plans top! So glad others love it too! I will have to check yours out!